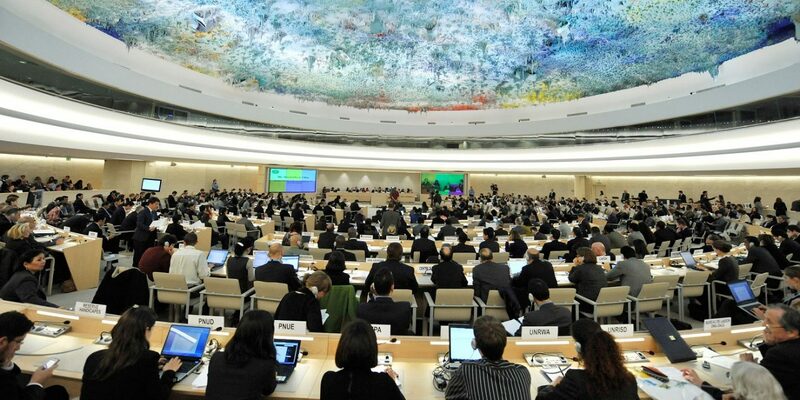 On Friday, 29 September ended the 36th session of the Human Rights Council at the Palais des Nations, in Geneva. This last meeting, occurring from Thursday 28th to Friday 29th, has been dedicated to the exam of Item 1, or the “Organizational and procedural matters”. In other words, during these last two days, all of the resolution projects elaborated during the last 3 weeks of HRC regular session have undergone the vote of the member States. Moreover, the “Election of the Human Rights Council Advisory Committee members” as well as the “Appointment of special procedures mandate holders” were held towards the end of the meetings. During the 12 hours of meetings, dispatched over two consecutive days, the delegations discussed an important number of topics, a total of 33 resolutions projects, distributed among Item 2 Annual report of the High Commissioner for Human Rights, Item 4 HR situations that require the Council’s attention, Item 5 Human rights bodies and mechanisms, item 9 implementation of the Durban Declaration against racial discrimination, and Item 10 Technical assistance and capacity-building. Some resolutions concerned the Human Rights situations in a specific country. They recommended the delivery of technical assistance to the countries’ governments (such as for Somalia, Sudan, Yemen, Central African Republic, Democratic Republic of the Congo), and the creation, or maintenance of the UN Special Procedures- with the agreement of the countries’ rulers (such as resolutions concerning Syria, Myanmar or Burundi). For Special Procedures, they are mostly put into practice through Committees of Inquiry or Fact-Finding Missions. Other topics of resolution pertained to the enhancement of specific rights, such as the collective right to development, the right to conscientious objection to military service or the right to life. Often times, a universal consensus is lacking on these subjects so the resolutions never receive unanimity, even when they are adopted. The Member States expressed their votes upon a range of resolutions concerning internal mechanisms and Council related procedures. For example, the adoption of the project resolution A/HRC/36/L.26 on “Cooperation with the United Nations, its representatives and mechanisms in the field of human rights” was accompanied by a heated debate. The co-authors were asking the HRC Presidency to firmly respond to menaces and intimidations directed towards the national Human Rights Defenders. Despite the feeling that the alliances and the enmities between the Member States plays an important role in determining the voting intentions, the debates took place in a relatively calm and constructive atmosphere. The meeting resulted with the adoption of all 33 project resolutions, of which 20 were by consensus.